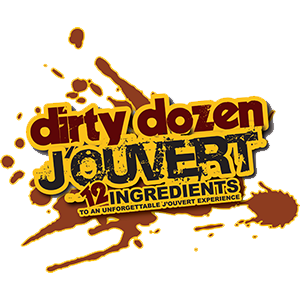 Dirty Dozen J’ouvert premiered on J’ouvert Morning at Trinidad and Tobago Carnival 2010. With a completely sold out band, we paraded through the streets, bringing back J’ouvert to the way it used to be – lots of mud, lots of paint, and lots of powder – but also with lots of drinks and food for the All Inclusive vibe. The producers of Dirty Dozen J’ouvert have been involved in the promotion and production of mas in T&T, Barbados, Miami and Notting Hill, and we have pooled our collective experiences and resources to create a distinctive event.